I love bags. Seriously, what woman doesn't? But more than that, I love functional versatile bags that can hold everything I need for almost all occasions as I am not one that changes her bag frequently. Save for a few brands, there are not many bags out there that can blend functionality with fashion and decent prices. Having recently opened in 1 Utama, Terminus offers an array of bags for all uses and functions and in a variety of colours to match its buyer's personality. 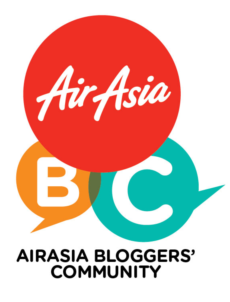 And most impressively, the brand is actually a Malaysian home-grown brand and an award-winning one at that too! Designed by local designers under the guidance of brand founder and CEO, Mr. Liew Bin, several Terminus bag designs have received awards and honourable mentions with the Red Dot Award. According to Mr Liew, 5 Fs of thought went into the bag's designs; Form, Function, Fashion, Feel and Fun. Each bag range has been designed with functionality as its utmost priority followed by style and fashion and made with top quality material that suited its function. Take the 5-in-1 Transformer Bag for example. 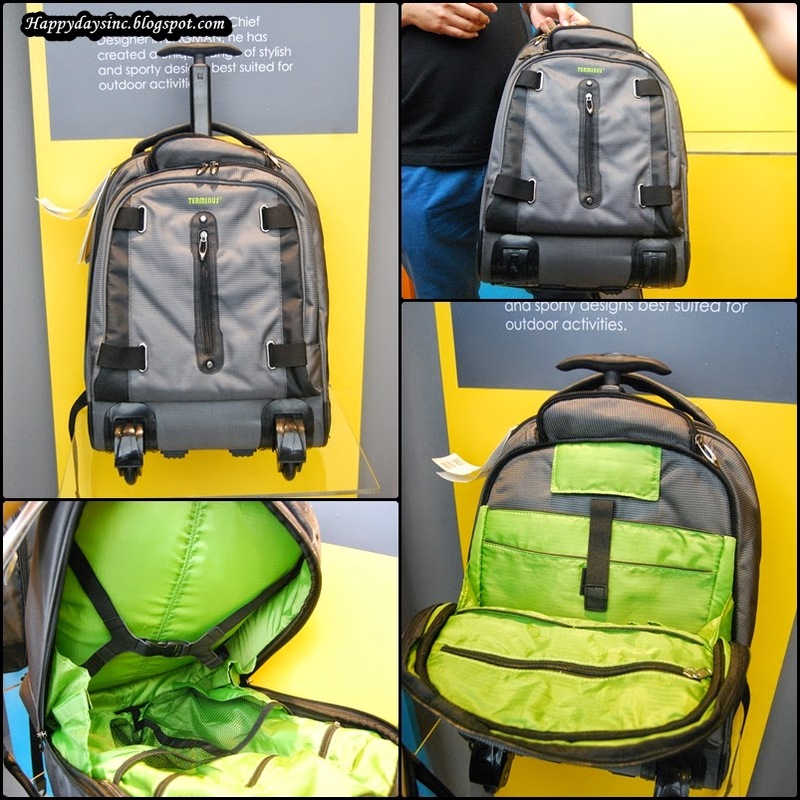 At a glance, it looked like a normal business stroller bag but within it are allocated slots and compartments for the busy traveler's laptop, passport, clean clothes and even dirty laundry. Its size is perfect to carry onto the plane and even if the airline declares it too big for the overhead baggage storage, the laptop compartment can be separated from the laundry section. I had my eye on several of their bags but the one that really caught my interest was the invisible urban roller. Its concept is simple; a backpack on rollers but unlike those uncomfortable school bags on rollers with the wheels digging into the user's back, the wheels of this particular Terminus bag tucks away when the telescopic handle is pushed down. Even if wheels are still jutting out, they are designed in such a way that they are facing outwards to avoid it poking into its user's back. This award-winning bag is the perfect check-in bag for travelers. Other bags worth checking out would be the Bright Tote bag and the Pillow Laptop bag. Much like its name sake, the Bright Tote was a genius design that integrated two mini LED lights into the dark black hole of a lady's bag. The bag also has four smug external pockets. The Pillow Laptop bag would be a student's dream bag. It literally invites its owner to rest their heads on its puffy design and simply sleep without having to worry about their laptop or iPad that is hiddeb within the bag itself. And the best part, besides its hide-your-device design, it also protects the device inside the casing from falls and bumps. All Terminus bags comes with a one year warranty and can be also ordered online at Bagman Online. Any inspired designers and/or bag users can also submit their designs and if they are good enough, Terminus might make it happen. Plus part of the proceeds from Terminus will be donated to the Malaysian Nature Society. An added advantage for those looking do some good. 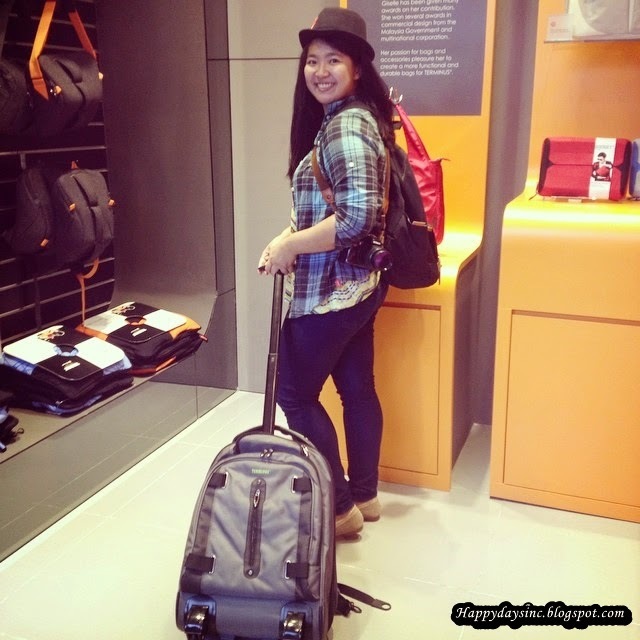 Updated 16 Sept 2014: I got to try out the new Invisible Urban Roller bag for my trip to Gold Coast and here's my review.